How can I Check (Read) Waste Ink Counters? | WIC Reset Utility. Reset the Waste Ink Pad Counters by WIC. How can I Check (Read) Waste Ink Counters? It is Easy and Free! Download latest WIC Reset Utility version. Connect the printer to computer by proper USB cable. Disconnect all other USB devices. Click on Read Waste Counters button. If even one Waste Ink Counters is more then 100% – it means it is overflowed and You have to Reset it. Please see video tutorial How to check Waste Ink Counters current values. 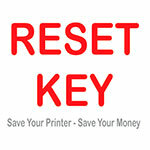 « Does Reset Key have expiration date?